Goodreads says, "It's been two years since Conrad told Belly to go with Jeremiah. She and Jeremiah have been inseparable ever since, even attending the same college-- only, their relationship hasn't exactly been the happily ever after Belly had hoped it would be. 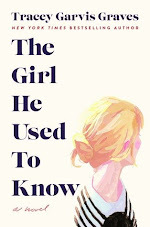 And when Jeremiah makes the worst mistake a boy can make, Belly is forced to question what she thought was true love. Does she really have a future with Jeremiah? Has she ever gotten over Conrad? It's time for Belly to decide, once and for all, who has her heart forever." Belly is off at college with Jeremiah and everything is pretty status quo. They go to parties, eat meals together, hangout with friends, and study. It's a pretty average college experience, except Jeremiah isn't the "perfect" boyfriend that Belly thought he was going to be. 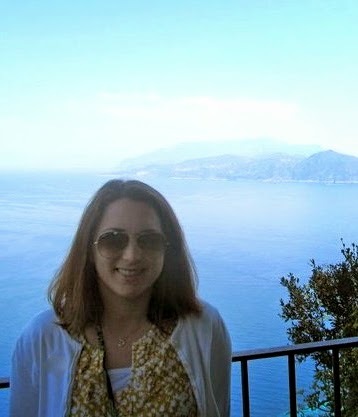 And in the back of her mind, she is always wondering about Conrad and the path she didn't take. 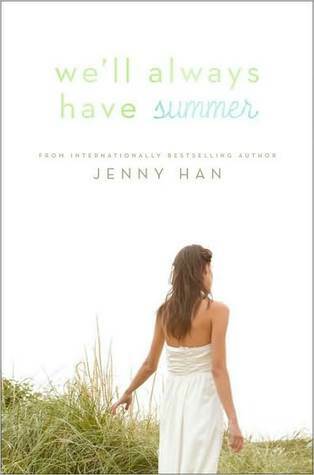 Jenny Han's conclusion to the Summer series, We'll Always Have Summer, is everything I'd hoped it would be and more. The characters in the Summer series are incredible. I love Belly and I think she really grows in this book. She's faced with situations, once again, that make her stop and think. Although I didn't always agree with Belly's actions in this novel, I could see where she was coming from. She's still growing up and figuring things out. Of course Cousins Beach is in this story and just like the other books in this series, the setting becomes so significant that it develops into a character itself. I adore Han's descriptions of the beach and how she makes the beach house important to all the characters, but in different ways. Of course the memories and flashbacks to their childhood always break my heart, because it feels like I was part of them too. For the record, Conrad has always been my favorite, but I could see why Belly was attracted to Jeremiah. I will admit that I was even partial to Conrad when he was a moody mess. What can I say? I'm a total sucker for the bad boy type. Also, I loved how Conrad and Belly connected in this novel and truly developed an even stronger friendship. And to continue my swoon-fest, I love how Han ended the novel. I was happy with the ending and sobbing as I flipped the final page. On one hand I was elated as I approved of the ending, but on the other hand, I was so sad! It was like saying goodbye to a childhood friend. I didn't want the series to be over, but just like the season of summer itself, I knew I had to say goodbye and I did so with a smile on my face. It's kind of hard to review this book, because I don't want to give anything away, but you must drop what you are doing and go get We'll Always Have Summer or the entire series if you haven't read it. You will fall in love with every word. As I finished the last page, my heart was pounding and I realized I was changed by this book and by this series. Han's Summer series is a story that I will never forget. It has made a lasting impression on me. *Conrad or Jeremiah? Take the quiz! I'm a total sucker for the bad boy type as well, moody or no:) I haven't read any of this series yet and I need to fix that, these books sound amazing! So glad each book in the series seems to satisfy and nothing seems to get old or forced. Fabulous review Christina! I am sooooo excited to read this one! I also loved the first two Summer books, tho' I'm more Team Jeremiah than Team Conrad :o) Cannot wait to get my hands on this!!! I had never heard of this series. Great Fab Review! Theese books were amazing! I just finished 'We'll Always Have Summer' and i learned so much from it. All three books were just fantastic. Me and my close friend enjoyed reading and discussing the books. I highly reccomend it! I read the book, but for some reason the epilogue wasn't there.. does anyone know if there's a way of reading it? I need closure!! I love Conrad, always have, Jeremiah was just a crappy brother. Anyhow, I need the epilogue!! HELP!